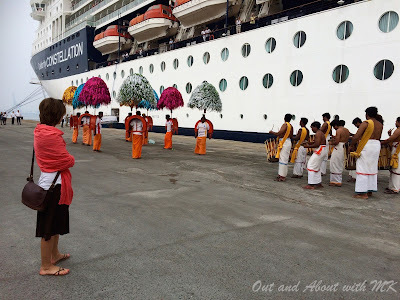 Rather than watch the snow rapidly accumulating outside my window, I decided to indulge in a bit of escapism by scrolling through the hundreds of photos taken during our recent Arabian Sea and India holiday cruise. 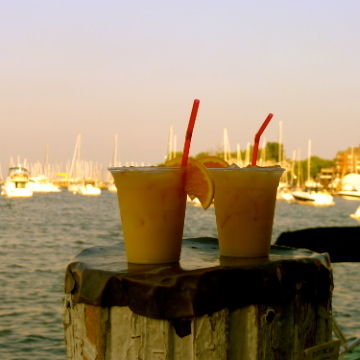 Unlike other types of vacations, cruising is somewhat of a controversial topic. It seems that people either love cruises or hate them. When I told friends that we were going on a family cruise for Christmas, they alternately shuddered at the thought of vacationing with a group of 2,000 people or revealed that they obsessively scan travel boards for last minute deals and information about future sailings. With five cruises behind me, I'm firmly in the "love" camp. Because I'm usually the one who books the hotels and restaurants for our trips, I appreciate the ease of one-stop shopping that cruising offers. After you've determined what matters most to you (size of the ship, itinerary, demographics of the other passengers), your accommodation, nightly entertainment and meals are set for the duration of your vacation. The added advantage is that you'll also have a fairly good idea of the total cost in advance. When our daughter mentioned that she was planning to go somewhere warm for Christmas, Stéphane and I started plotting ways to entice our adult-aged children to spend the holiday with us. Stéphane quickly trumped my proposal, a home exchange in Dubai, with a 14-night holiday cruise spanning both Christmas and New Year. Not sure that Sara and Philippe would be able to take that many days off from work, much less if they would want to spend such a lengthy vacation with us, Stéphane and I were delighted when they enthusiastically agreed to another family trip. Booking the cruise was easy enough but the logistics involved with coordinating a trip for four adults traveling from three different countries required more work than I would have anticipated. Sara watching the dancers who welcomed us to Cochin, India. The most worrisome task was getting Stephane's and my visas* for India, without which we wouldn't have even been allowed to board the cruise ship. While I can look back and say that the opportunity to visit India was well worth all the administrative hoops, not knowing if we would actually receive our visas before our departure date caused me quite a few sleepless nights. The process was made even more difficult than normal for Sara, Stéphane and I because we aren't citizens of the countries in which we reside. To ensure that Stéphane and I didn't have plans to abscond to an ashram in Goa, the Indian Embassy demanded copies of a monthly bill in our names, the lease for our apartment and a bank statement showing our current balance. When our passports were returned to us, I ran my fingers lightly over the precious piece of paper granting us entry into India. Too bad its validity was only for one month! If you're planning a cruise, be sure to check out Cruise Critic. The website provides a wealth of information about cruise lines, ships and ports of call. 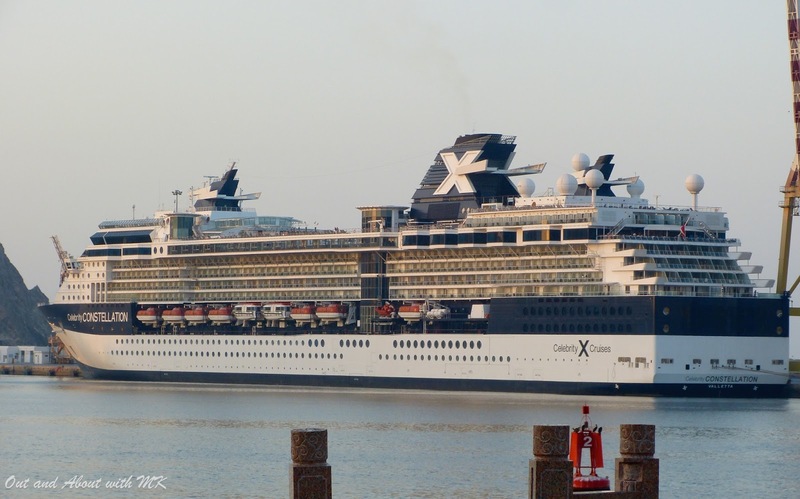 Additionally, join the "cruise call" for your specific cruise if you want to connect with fellow passengers online. Not only does the forum help build excitement before you set sail, it's also a good way to join privately organized tours, as opposed to the more expensive ones offered by the ship. A member of our cruise call even planned a get-together and holiday gift exchange for one of our days at sea. It was a fun way to meet people from England, Australia and the USA. Tomorrow's port of call: Abu Dhabi. *Know before you go applies to visas! Be sure to check if there are any visa requirements before booking a cruise. Some of the people booked on our cruise cancelled when they learned of the visa requirement for India. Also, don't assume that the visa requirement for you will be the same as the visa requirement for your friend from another country. It can vary according to nationality. 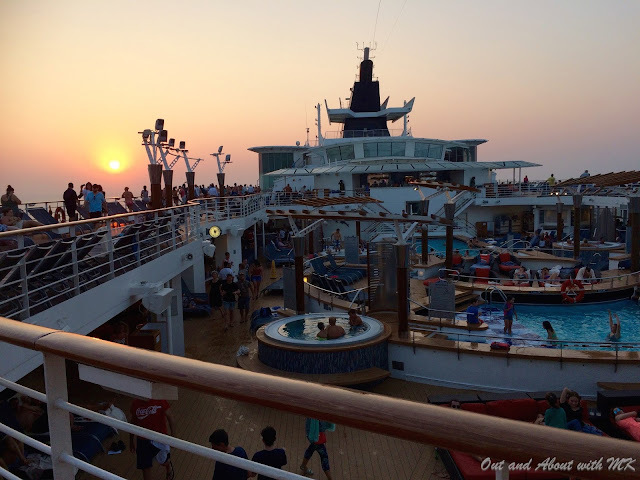 Listening to music and enjoying the sunset while cruising aboard the Celebrity Constellation. This trip looked like so much fun!